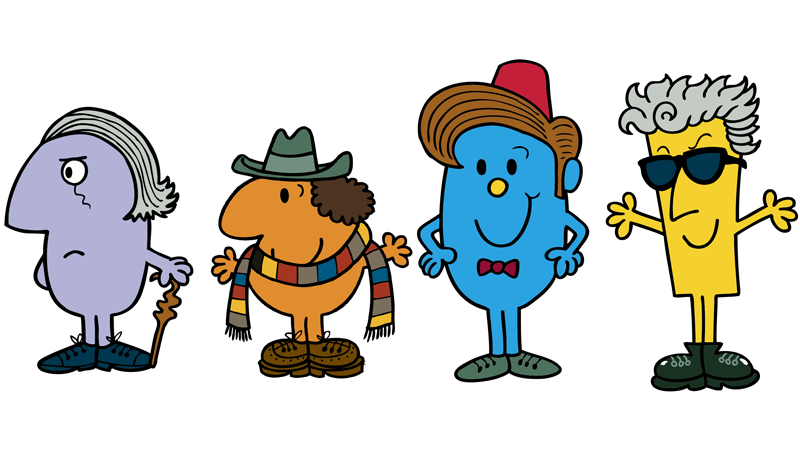 Ever wondered what the myriad incarnations of everyone’s favorite Time Lord would look like in the world of Roger Hargreaves’ classic children’s books? Wonder no more. Penguin Random House has announced a new partnership with the BBC that will see each of the 12 incarnations of the Doctor get their own Mr. Men book, penned and illustrated by Hargreaves’ son, Adam. Four of the books will make their debut in spring of next year, covering the first, fourth, eleventh, and twelfth Doctors. They won’t be “Mr. Who” books, though; they’ll still have their Doctor title, so it’ll be the adventures of Dr. First, Dr. Fourth, Dr. Eleventh, Dr. Twelfth, and so on. Aside from the books, there’ll also be a range of merchandise featuring Hargreaves’ designs of each Doctor, so if you don’t have kids to buy the books for, you’ll still have ample opportunity to spend your money on the mash-up.